The Reverend Dr. David C. Lewis serves as Executive Director of the WiseHeart Foundation. 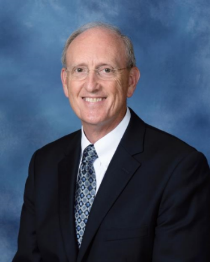 David has served as the Senior Vice President and Senior Ministry Strategist for Horizons Stewardship Company and as the Chairperson for Stewardship in the Memphis Annual Conference of the United Methodist Church. He has served churches in North Carolina, Kentucky and Tennessee. Most recently, he served for 21 years as the Executive Minister at Bartlett UMC. He has served as President of the denomination’s area Committee on Finance and Administration. He further served as the Chaplain for the City of Bartlett, Tennessee, and was a member of that city’s Bartlett Station Commission. David is highly committed to mission. He volunteers his time with Crosslink Memphis, Inc. Crosslink Memphis provides free medical supplies and low cost medicines for Christian medical mission teams serving around the world as well as charity clinics domestically. In the non-profit world David has served in leadership positions with the American Heart Association, Bartlett Education Foundation, Memphis Association for Retarded Citizens, Kings Daughters and Sons Foundation, and with Methodist Hospital Systems. In addition in 2000, David formed two non-profit mission organizations. Seeds Ministries is a medical mission team and general mission support agency, putting short term medical teams together for domestic and foreign mission, and serving as a funding source for related mission work. Crosspoint of India provides funding support for an orphanage and Bible college in Nagpur, India. To this point both organizations are volunteer driven with 100% of funds contributed being passed on to the field ministry itself. David graduated from Lambuth College and received his Master of Divinity from Duke University. His Doctorate is from St. Paul School of Theology. Emory University awarded him his Certification in Church Business Administration. He is a past Fellow in the National Association of Church Business Administrators as well as a Certified Church Administrator through the General Council on Finance and Administration. He is a member of the United Methodist Association of Church Business Administrators. David lives in Bartlett with his wife, Jan. They have two grown children and three grandchildren.